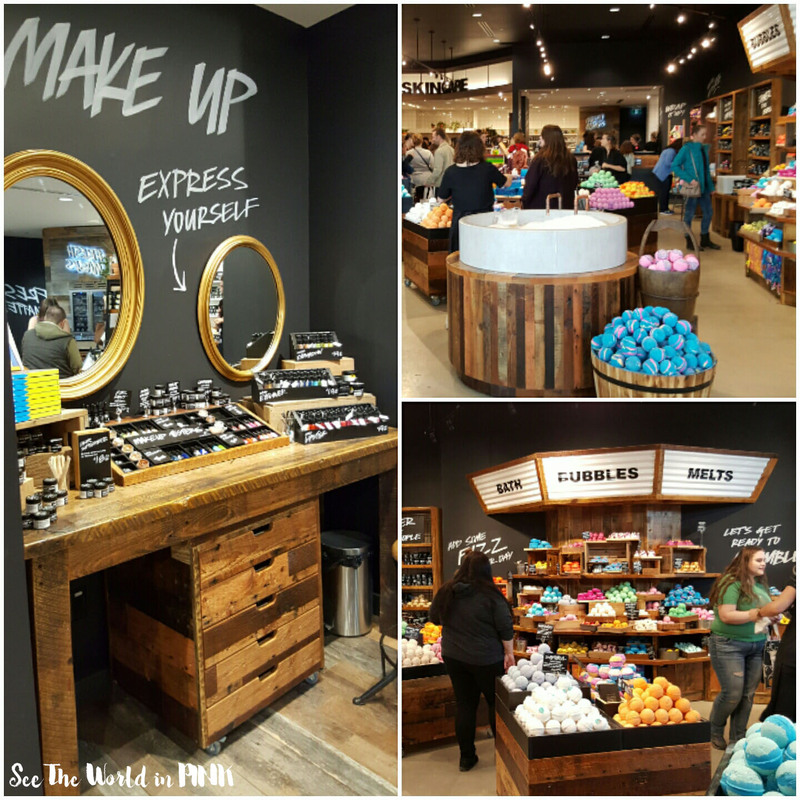 It's no secret on here that I love Lush Cosmetics, so when I heard that they were expanding the size of the store in the mall near me, I was so excited! I had to attend their grand re-opening party on April 1! How cute is the set-up of the new store?! It's so huge now! The new store location in Chinook Mall Calgary is just down the hall from the old location and it is now over 6 times the size of the old location!!! They have the store so nice and organized, making it very accessible and easy to see all the products! Each section has a different "inspiration" behind the set-up! 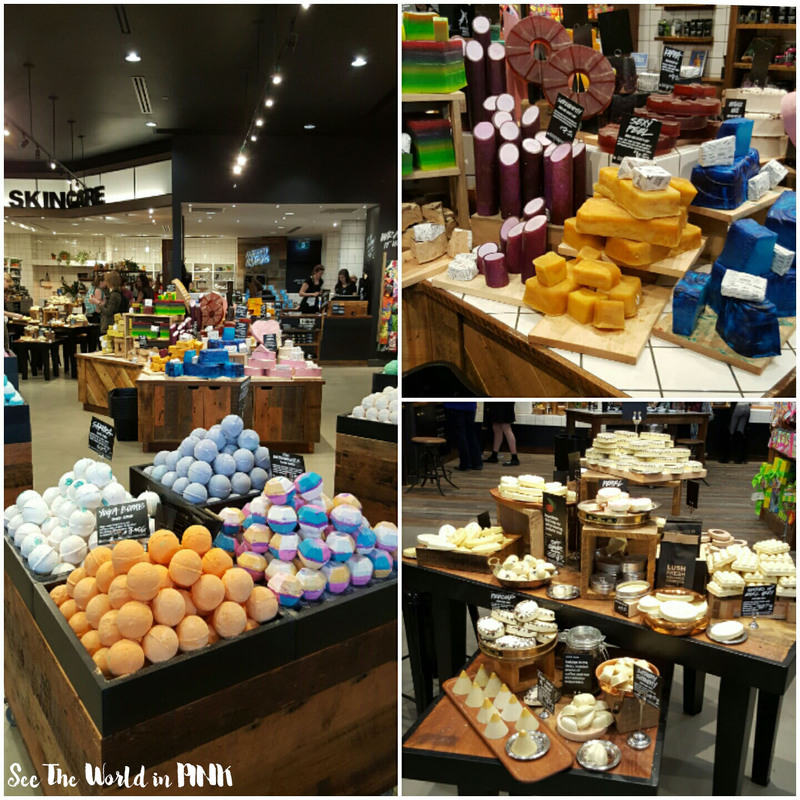 Think fresh produce market when looking at the bath bombs or chocolate shop when selecting your massage bar! The store aesthetic also features amazing reclaimed wood accents and vintage details! What's great about the new store is the expanded sections that I think sometimes get overlooked - the makeup section looks amazing and the hair section is huge! 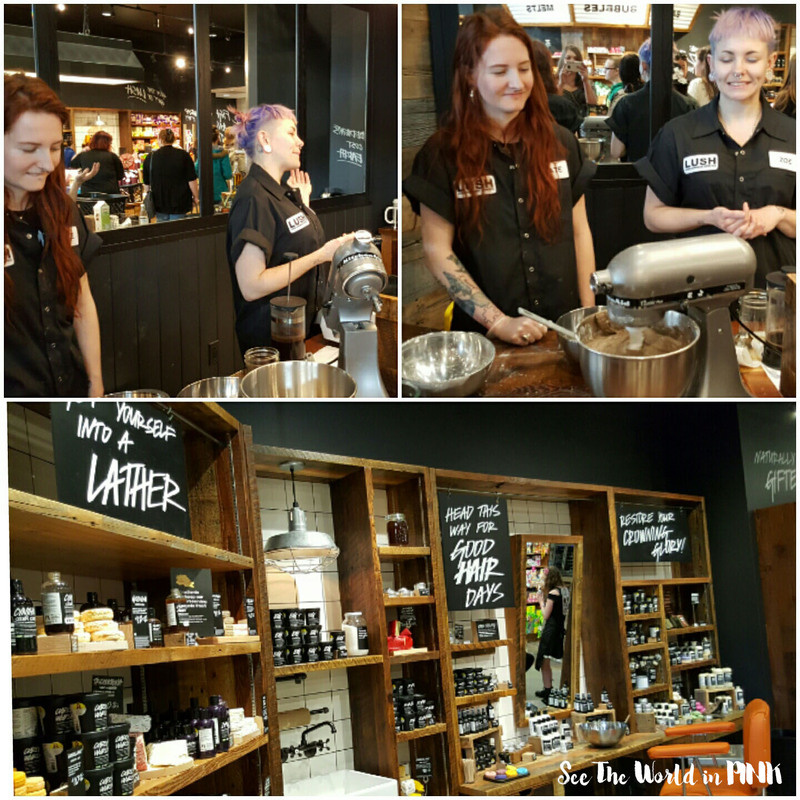 I didn't realize that haircare was such an important pillar in Lush so I love that it is a huge feature now! (Also, I didn't quite get to take pictures of the lovely skincare section at the back of the store). Another added feature of the new space is all of the consultation areas that it offers! There is a whole section in the back that allows you to sit down with staff and discuss skin needs and test products before purchasing them. The Grand Opening Party was great and they offered some great goodies! The first 100 guests got a cute, canvas bag and they offered a great little gift box for anyone who spent over $50 - they have a bath bomb, hand cream and soap! They looked amazing! This was the cute gift they gave out at the P.R. event so we can all test out the Cup O' Coffee mask! 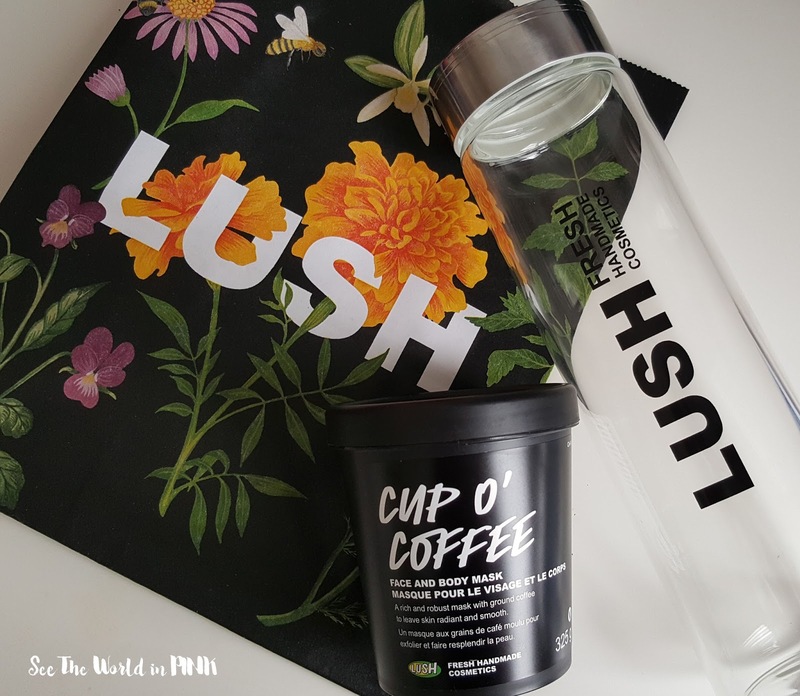 I'm super excited, because of all the Lush products (and masks) I have tried, I have not tried Cup O' Coffee yet! I am going to review this mask really soon and give more details on the mask! !